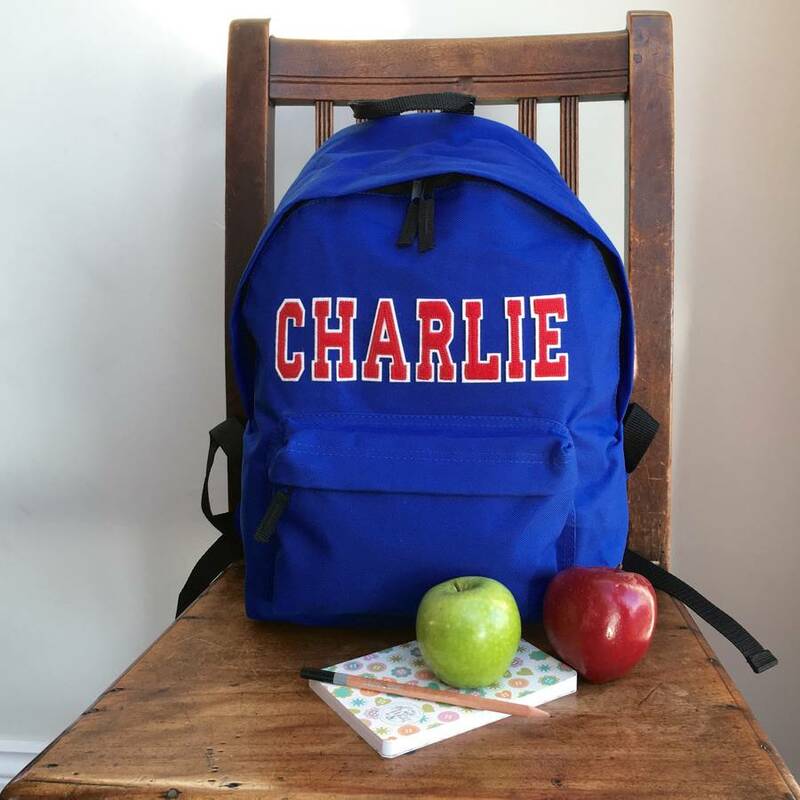 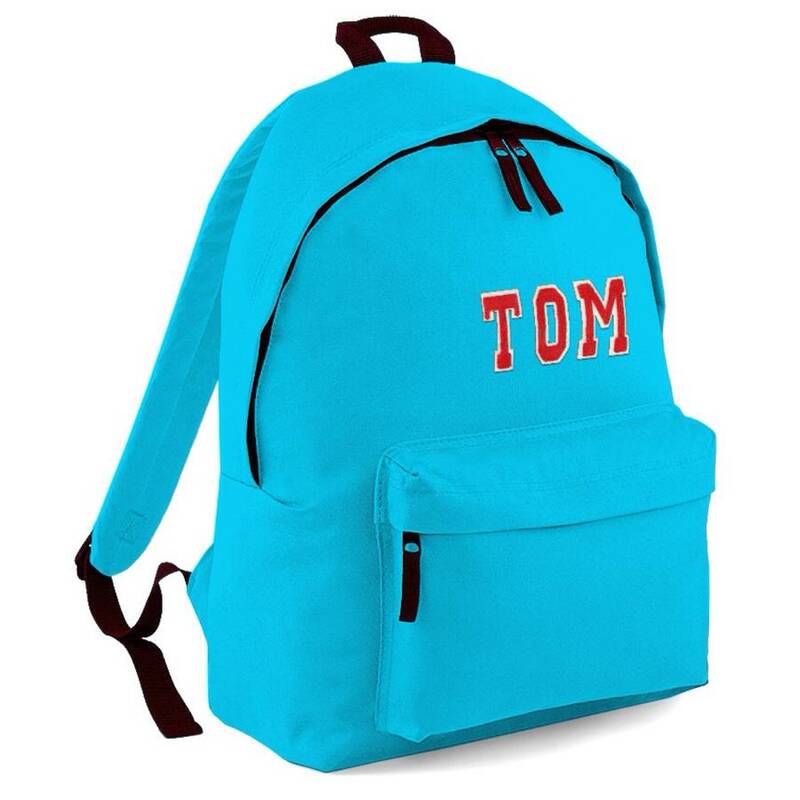 Childrens personalised rucksack, with applique letters. 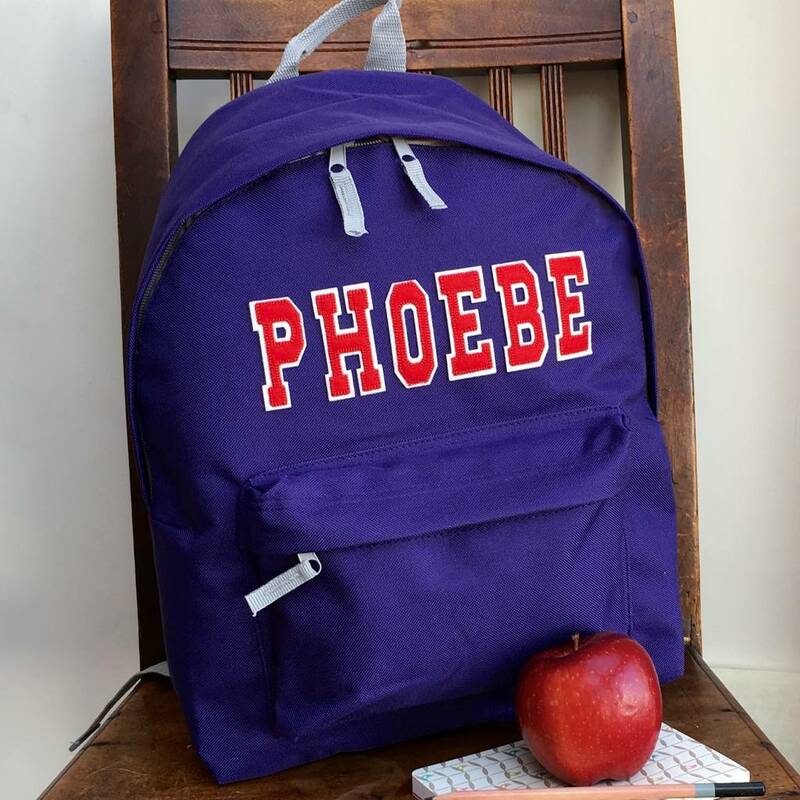 Add any letters up to 9 letters. 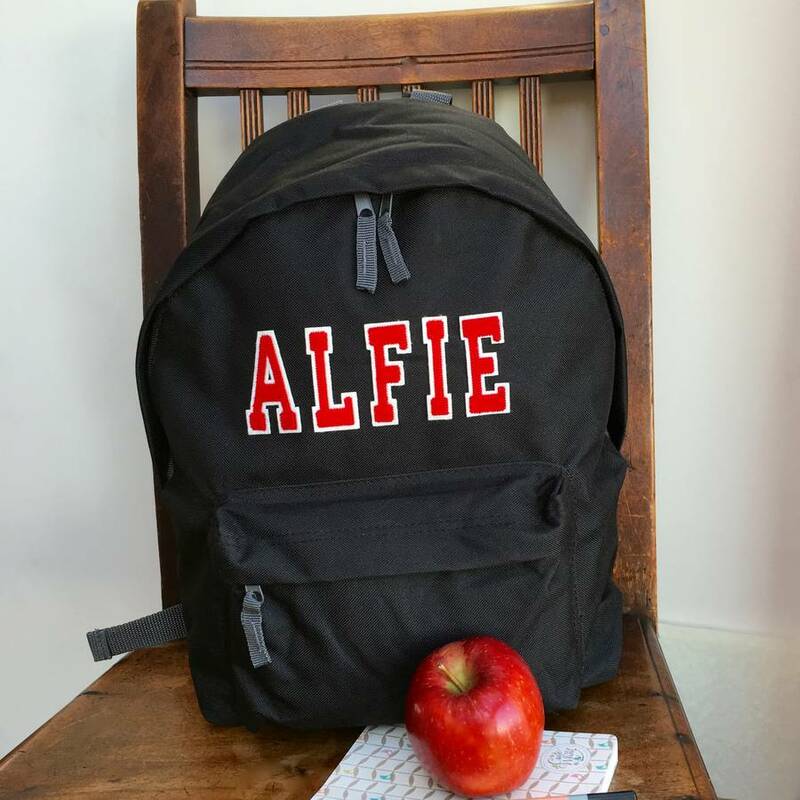 Large enough for school and fitting in an A4 folder. 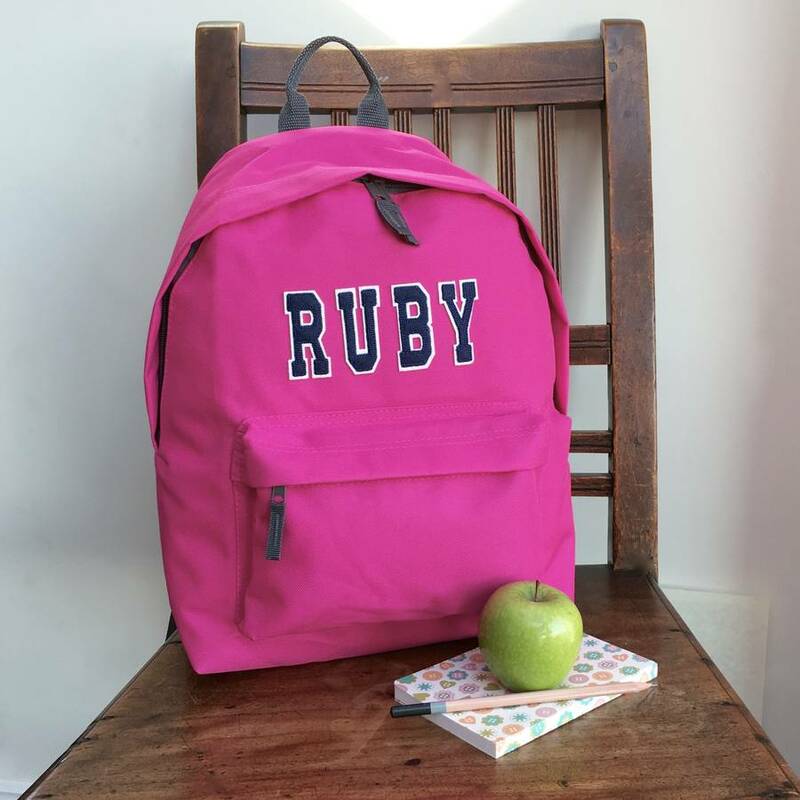 Fantastic quality and hard wearing with padded straps and back panel, including a front zip pocket! 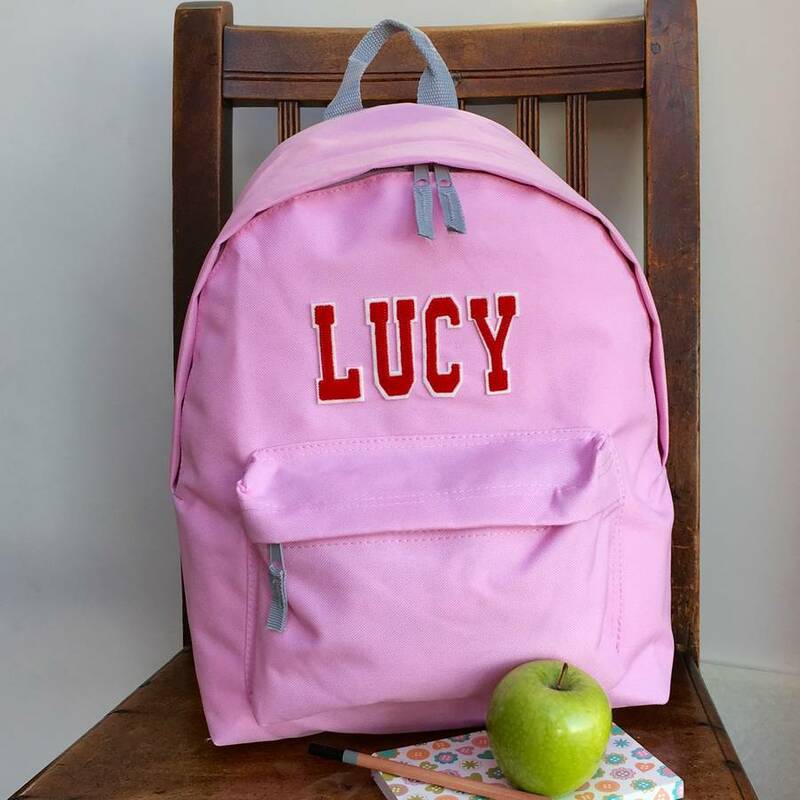 Children love to have their own name on things, watch their excitement when they recieve a bag with their own initial on it. 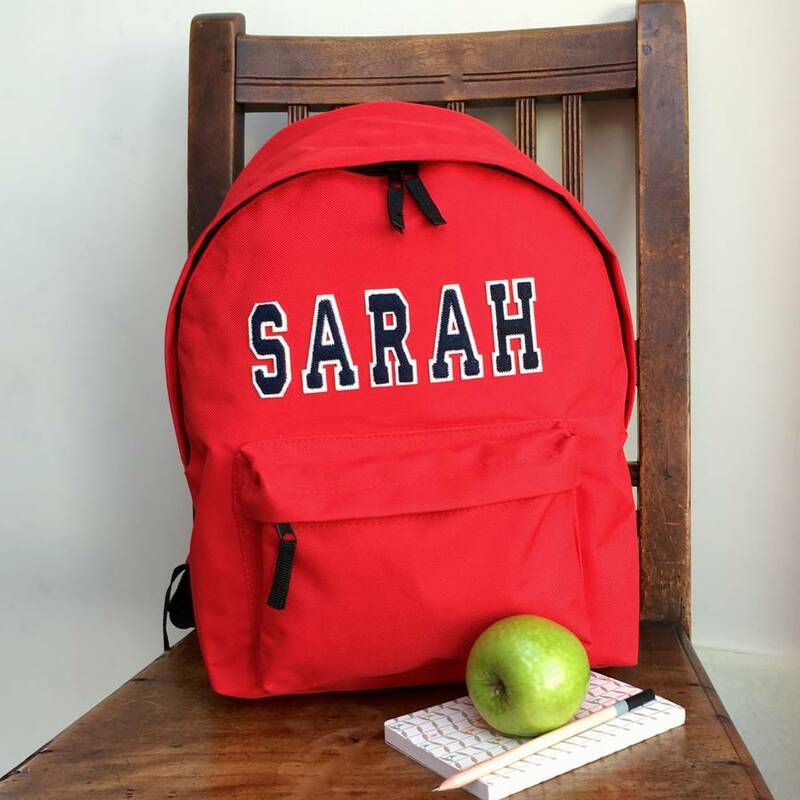 Children will easily recognise their own bag on the school pegs! 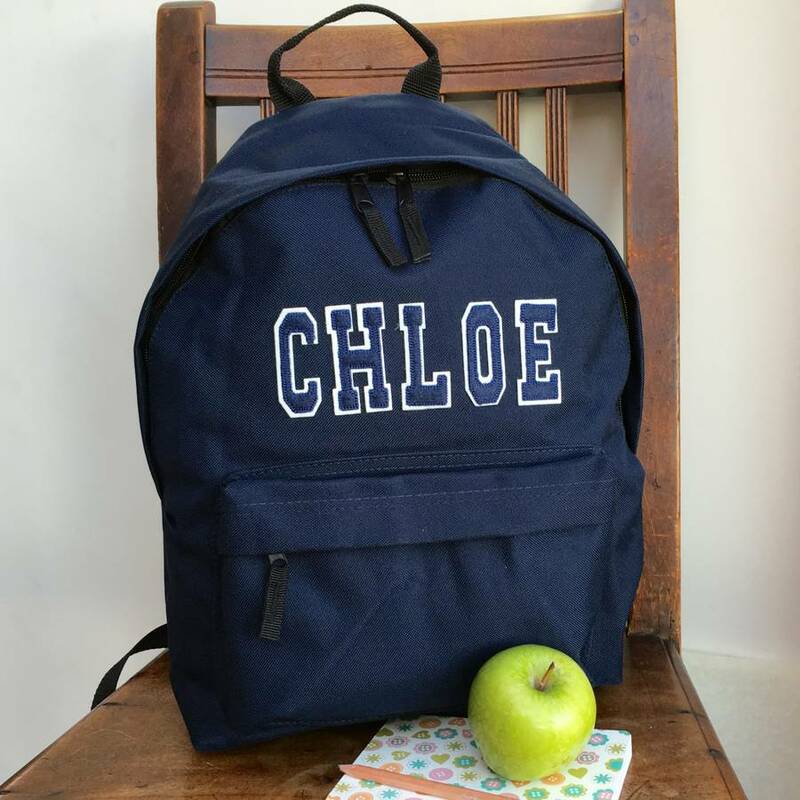 Perfect for gymnastics,football, swimming, and any other clubs too, also great for in the car to keep tidy or in a child's room for bits and pieces.